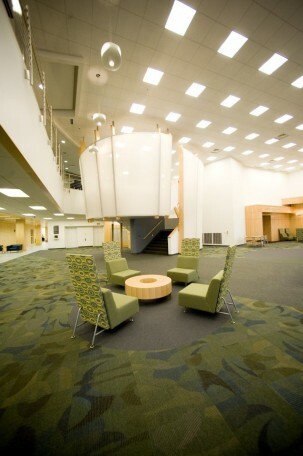 School of Medicine expansion & renovation introduces modernity, discretion and compassion into academic instructional and laboratory environment. 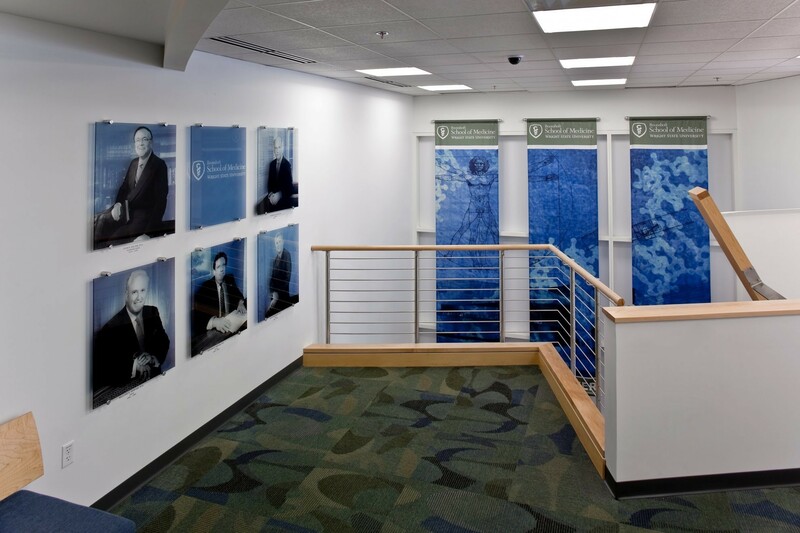 Injecting needed vision and definition, Champlin transformed Wright State University’s Boonshoft School of Medicine into a dynamic and discerning setting for the education of future physicians. 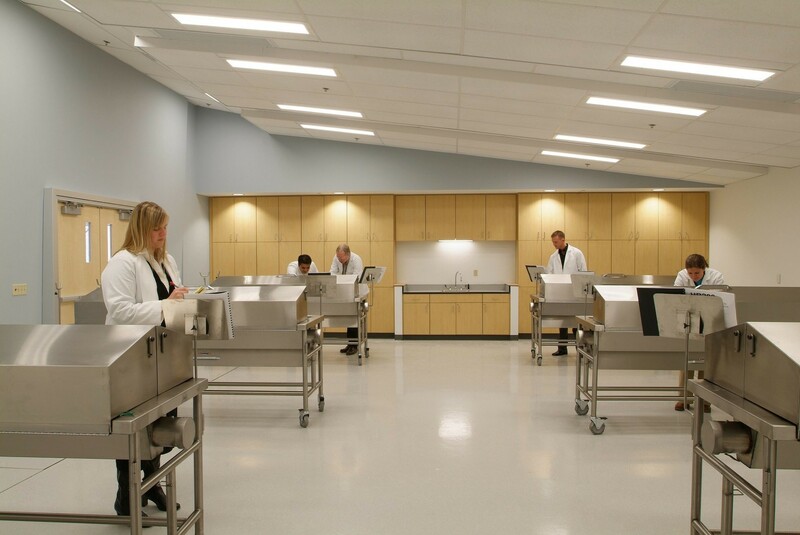 An 18,000 sf expansion features a new entry and lobby, state-of-the-art wireless 160-seat tiered lecture room, three gross anatomy labs, full functioning morgue, and faculty, staff and support offices. 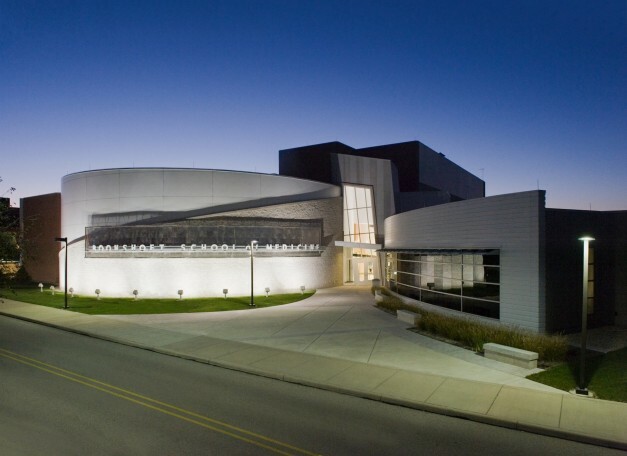 Lively exterior design forges the desired new image for the School, which fronts campus astride a main gateway to the University. 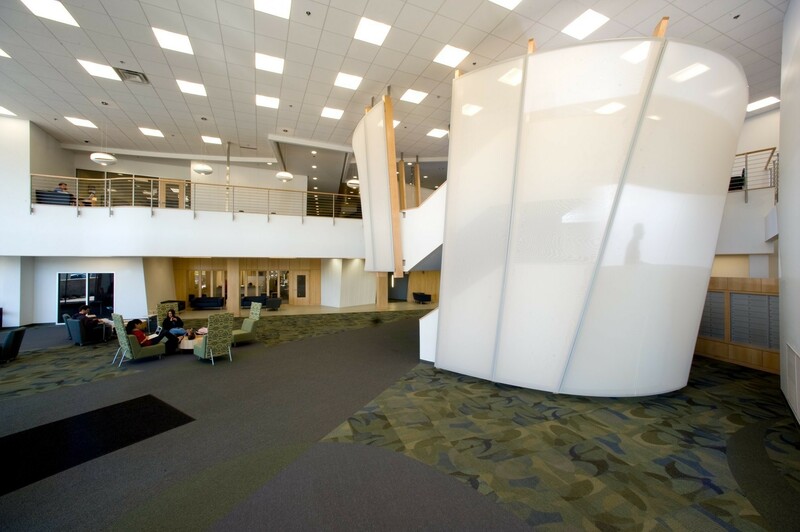 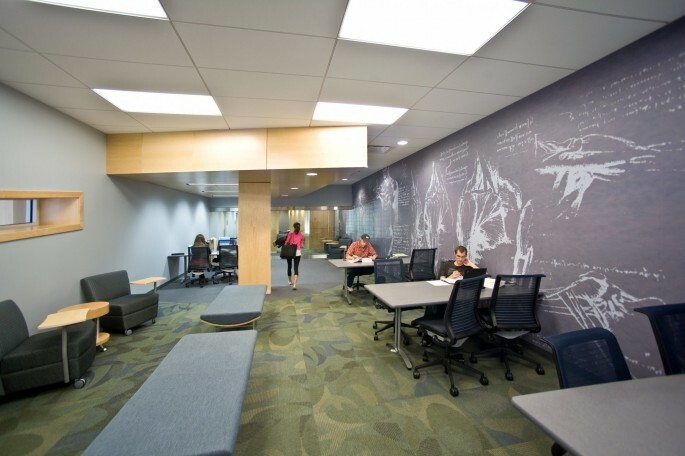 The extensive 55,000 sf renovation included creation of multiple student spaces for gathering and study, new teaching spaces outfitted with progressive technology, and departmental office space. The design language of the renovated space complements elements found in the expansion, including maple wood paneling, contrasting ceiling planes, and comprehensive environmental branding. 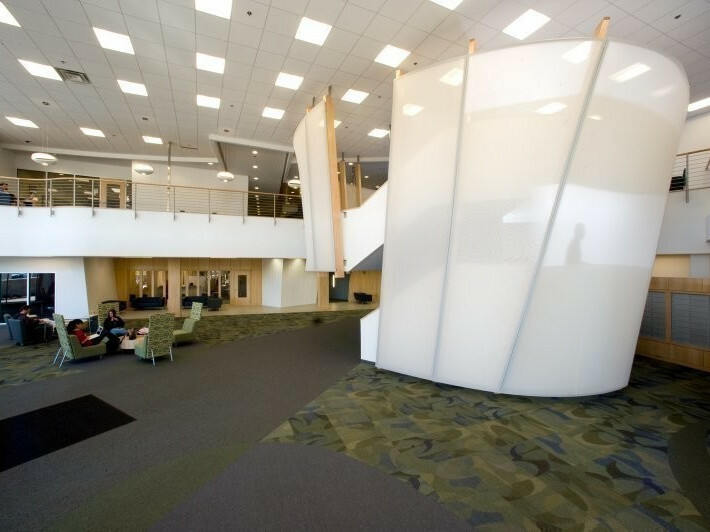 A large student lounge, animated with a sculptural stair, has become a very popular place to congregate — opening onto a sheltered outdoor terrace. 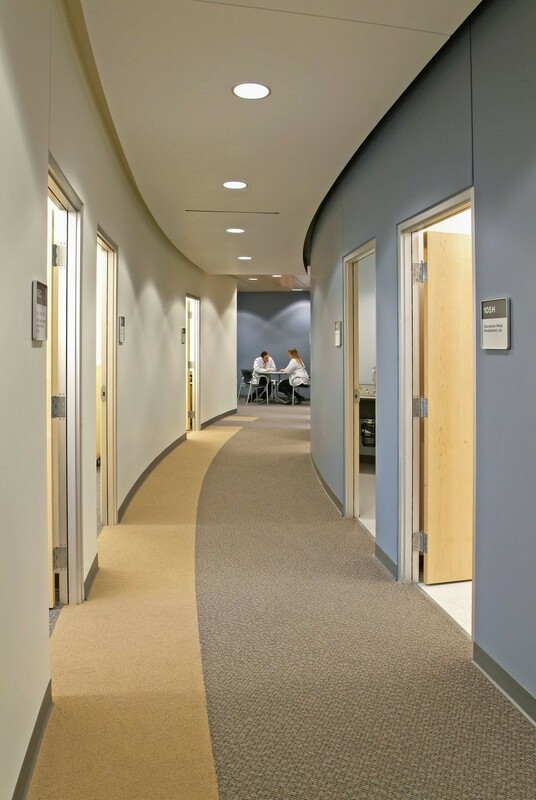 Wireless routing and transfer allows information to seamlessly flow throughout the facility. 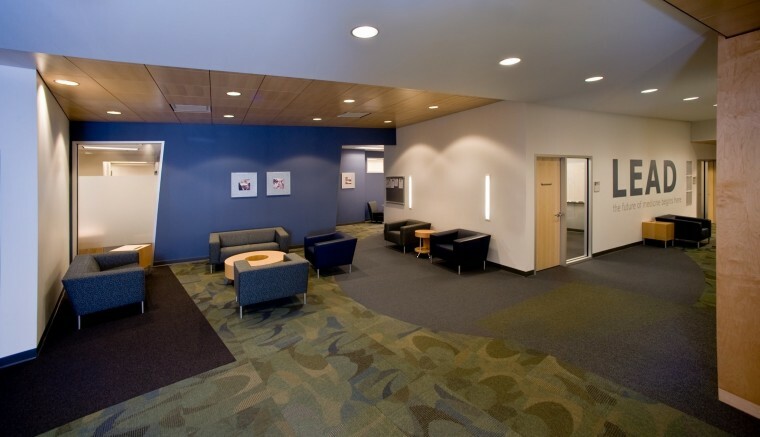 University networking kiosks and printers are strategically placed for convenience, and connect to the other academic colleges on campus. 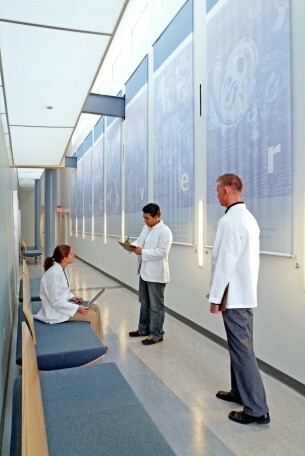 Medical Informatics Labs are outfitted for test taking and seminars. 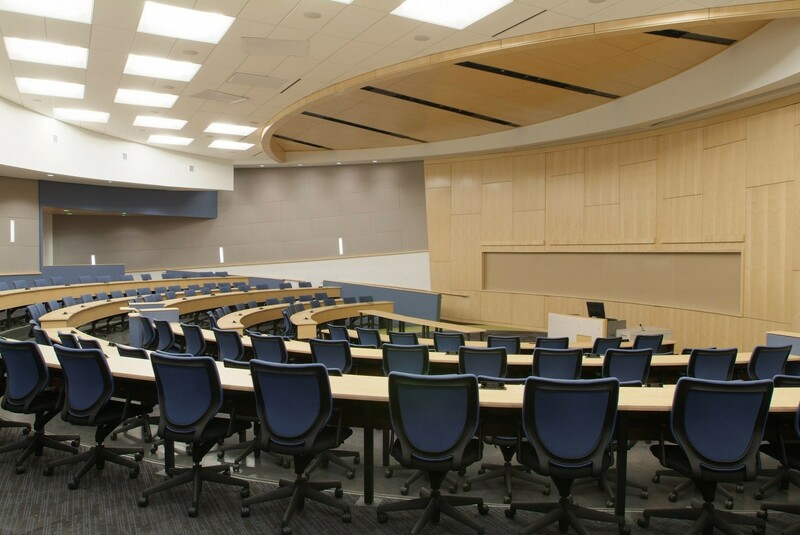 Interdisciplinary Teaching Labs offer a traditional medical lab environment accompanied by audio and visual linkage to not only the 150-seat auditorium, but also to outside medical centers that provide in-the-field education. Further, the forefront of 21st-century medical education is actual surgical suites, empowering hands-on training that can be monitored and streamed for observation and critique. Video and audio connections to community hospitals allow interns to actively participate in educational classroom environments. 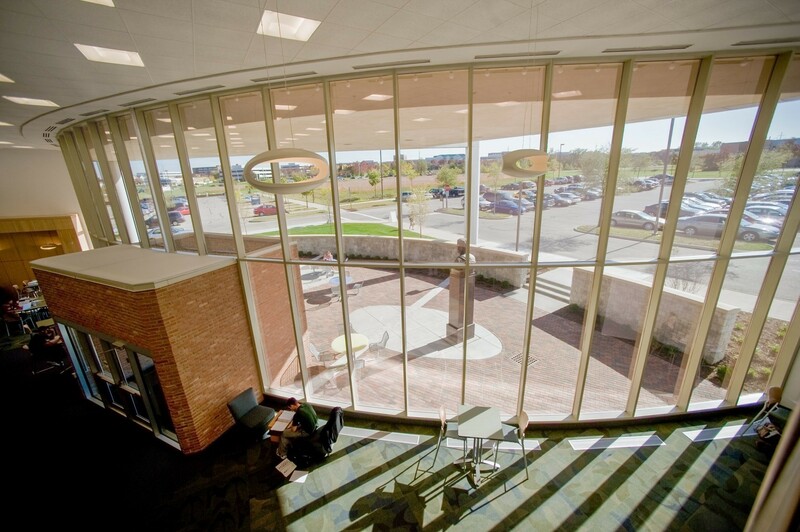 "Champlin/Haupt Architects was selected from a list of over 30 qualified design teams for a variety of reasons. Although this firm had previously not worked with the University, it demonstrated exceptional value in its experience for designing academic and technical building programs. Their commitment to sustainability and responsible design solutions was evident, and their leadership respected and maintained an inflexible academic schedule and budget while at the same time producing a highly creative and inspirational building for students, faculty and staff."